Cancer experts at the University of Southampton and Southampton General Hospital are trialling a new drug in head and neck cancer patients that could help stop their immune systems from protecting tumours. The study, led by Cancer Research UK’s Centre for Drug Development (CDD) in partnership with biopharmaceutical company Amgen, will look at whether or not experimental cancer drug AMG319 removes the defence shield that hides cancer cells from the immune system. The drug targets a protein called PI3K delta which, when tested in the laboratory, led to the destruction of cancer cells. Researchers at Southampton General Hospital, Poole Hospital and the Clatterbridge Cancer Centre/Aintree University Hospital will now look at the effects of giving the drug to patients with a type of head and neck cancer known as squamous cell carcinoma (HNSCC) to determine if it affects their immune response. Around 54 patients with HPV-negative – those whose cancer has not been caused by a virus called the human papilloma virus – HNSCC of the lower and upper parts of the throat or mouth will be selected to participate in the study. Patients will be randomly assigned to receive either AMG319 or a placebo during the regular break from treatment to avoid disruption to their care. Professor Christian Ottensmeier, a consultant medical oncologist at University Hospital Southampton and professor of experimental medicine at the University of Southampton, is leading the study. 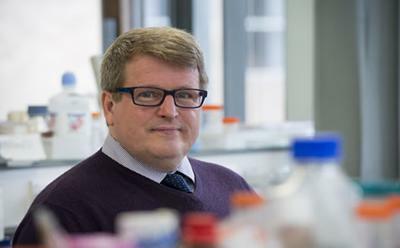 He said: “This is a really exciting trial because we’re using this drug in solid tumours for the first time, while it also tries a whole new concept of cancer therapy in solid cancers for the first time. Tony Hoos, head of medical for Amgen in Europe, said: “The intersection of immunology and oncology represents one of the most promising approaches which may have a significant impact for patients with cancer today. Dr Nigel Blackburn, CRUK’s director of drug development, said: “We’re delighted that the collaboration between Amgen and our Centre for Drug Development is moving into Phase II trials. It means we’re getting closer to providing a new treatment for cancer patients. “Teaching the body’s immune system to fight cancer is a promising area of cancer research and we’re excited to see how this drug may help.